Invented at the MIT Lincoln laboratory by Ivan Sutherland, vector graphics brought in a new dimension of images. Utilizing polygons to illustrate images, vector images promised and still delivers non-pixelated images, irrespective of its scale or size. The foundation of vector graphics are from the word itself. It uses vectors which are run through various areas known as points or nodes, these have a position on the Y axis and X axis of a work plane. These also judge the way the route is lead and can also be given attributes to be unique not only in place but in shape, colour, stroke etc. Thus, you need to know about the best Free Vector Software out there. Soon after the invention of Vector graphics, the world of media changed as every consumer and supplier of any media were hungry to create and use images which never got pixelated. Listening to the outcry for resources, software developers rushed to their aid to create suites of application which would harness this magical technology. One such developer was Adobe but in particular, their software named Illustrator. Developed in 1985 as an Apple exclusive product, Adobe illustrator stood the test of time and criticism proudly. 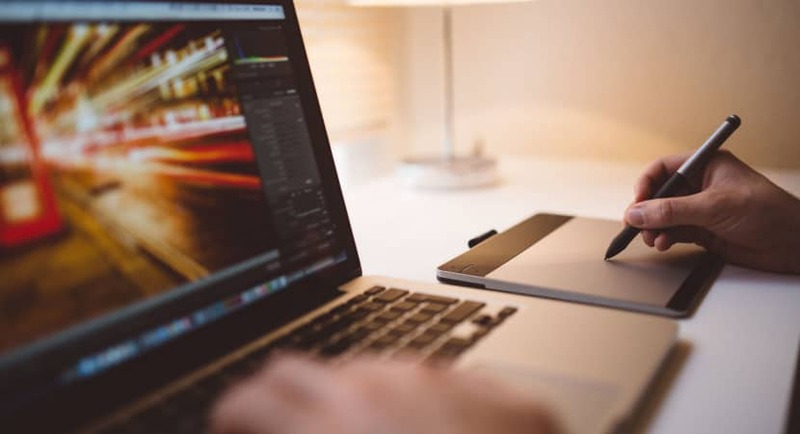 Bringing the best in the class editor for vector graphics, they soon became an industry standard and even digressed to create software for Windows which even today is used by the major population of the media world. Currently available under the name Illustrator CC 2018, they provide a stable station for any graphic designer to work in. Boasting a cloud server specially for their users, Illustrator CC 2018 packs in the best class performance, online storage, the ability to use a lot of artboards and so much more to make any graphic designer just drool. But unfortunately the pricing of such a product is not deep neither is it justifiable to a point, this is because of the new payment strategy utilized by Adobe. Coming under a monthly subscription fee of nineteen dollars for an individual, the consumer will feel the need to question the efficiency and effectiveness of the program for his or her utilization. Hence making many users refrain from using Adobe as there are cheaper or even free alternatives floating on the internet. There are also circuit designing sofwares out there. But like all Free Vector Software out there, the quality of such products is questionable. 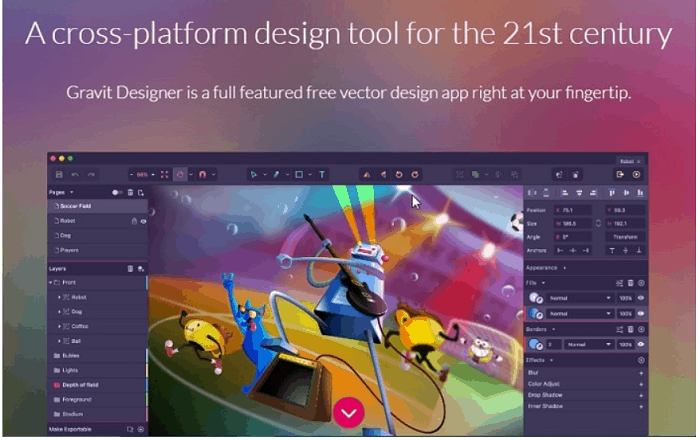 Initially known as Gravit, this free vector software is the best free vector download software ever. It is number one on our list. This is because it provides an ever growing and in-depth toolbox which we can compare to even Adobe’s Illustrator which you will have to pay. The best part is that you don’t even have to download it as it can even run on your browser without the loss of features. The application also has a beautiful GUI which welcomes the user to keep creating artwork after artwork without distracting him/her. It also has a cloud service which allows you to access your imagery from anywhere and everywhere. Hence, there should be no question that this should be your goto application if you can’t afford the paid software. Ranking number two on the list is Vectr Free Vector Software. This free vector graphics software is for the people who love to collaborate in work. 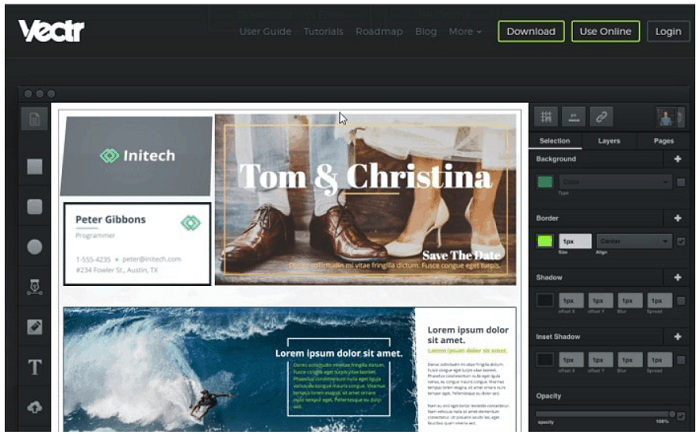 Vectr provides a rich and diverse toolset for any graphic designer. It can also run on your browser just like the number one on our list. But the unique part is that it allows many users to come together and work on a single project, in sync and in live. This service is available even if you are using the browser version. Even if your teammates are using the installed standalone version. Its also has a simple and easy to use GUI which anyone can get a hold in ten to fifteen minutes. Also, these reasons make Vectr take its justifiable position in the second in our ranking. The best part is it’s an open source application. This will allow coders and the like to modify the script to their own liking. Unfortunately, there exists no standalone version of it and can only work in a browser. Alternatively one can use some of these drawing tools instead. Irrespective, being basic and simple has its perks, hence allowing us to give it a well deserved third rank on our list. Coming last on our list but certainly not the least is Inkscape. This is a free vector software. 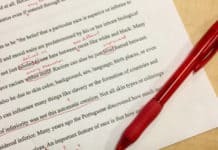 It offers very good integration, a simple interface and a mediocre at best toolbox for editing. It clearly lacks advanced features like alpha blending, cloned objects, and marking extensions. 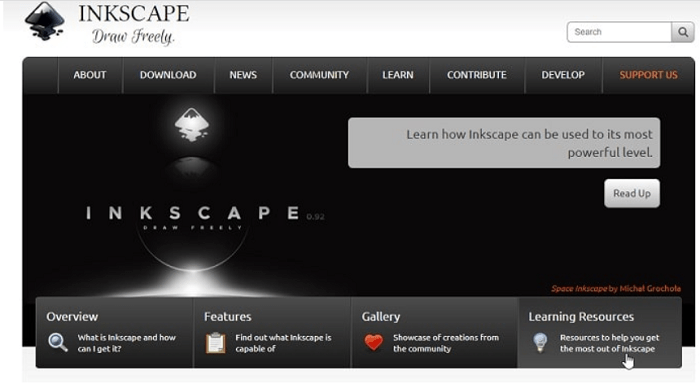 The other disappointing aspect of this software is that inkscape download is easy to install on windows. It is hard to for Mac, but it’s still possible. Looking at the advantages and disadvantages of this product has allowed us to justly give it a ranking of being fourth on our list. 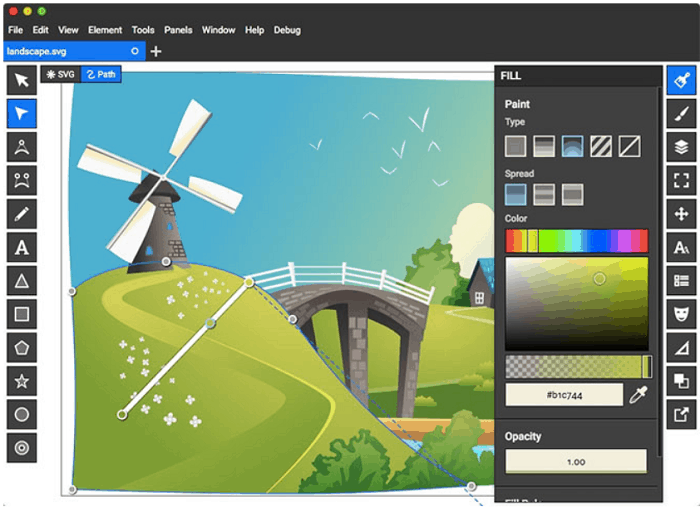 Boxy SVG is developed using modern platform and is a modern vector graphics editor. It is a very versatile software with support to many basic and advanced features. The software allows the user to use a wide range of transformations, groupings and painting options. It supports you to import images in many different formats such as .JPG, .PNG, .SVG, .GIF etc. The user can download the software or can also use it inside the web browser. It is available free of cost and is the best canvas for crazy young painters and designers. 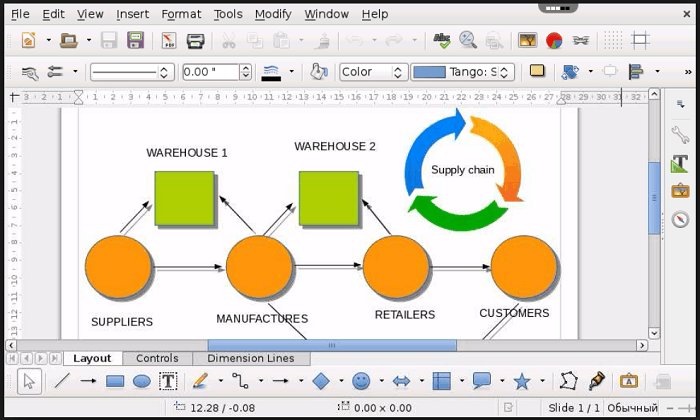 LibreOffice Draw is a very good open source drawing tool. It is often used for drawing flowcharts and graphs, but you can also use it for designing posters, posters, logos, brochures and many such basic aspects. This software is a more basic version with a light interface. It can prove to be a very good choice if you are looking for a software for official charts and diagrams used for office work. It may not prove to be that satisfactory if you are looking for a artistic tool. Here are some of the best Free Vector Software that can help you to create all those crazy images you always wish existed. You can use these software for professional work as well as for simple everyday work.